– When you turn a tie in your hand and it seems to change colour slightly, this is because the light is reflecting off the warp. The warp is one direction of the weaving (the other being weft) of the silk. The warp is subtler and sets the foundation for the tie’s tone. While I have written about warp before (in a piece on Vanner’s) I hadn’t cottoned on to this way of revealing it. 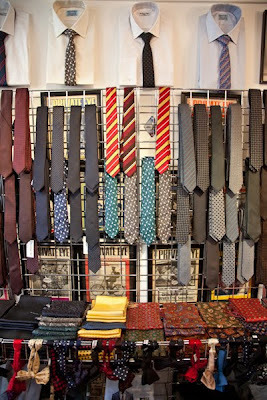 – Hunter’s makes a lot of ties for military units. And so many have been amalgamated recently that new designs are coming though all the time. Usually the designers take the dominant colours of each unit and try to find the best combination of them. There’s only a limited number of colour combinations out there though, plus over time the tone of the colours can change – if units have used cheaper tie companies, often the colour over the years comes to look nothing like the original design. That’s one advantage of a history in the industry – at Holliday & Brown they had swatches going back to the 1920s and earlier. So they could check the original swatch. – The old hand-worked, shuttle looms could weave greater detail than today’s mechanised ones, though obviously nowhere near the speed. “In that old book we had a swatch of the Bugatti Racing Club, which from memory was a royal-blue ground, with a very thin – like one pixel – stripe of black, four pixels of gold, four of red, back to gold, then the black again. You couldn’t achieve that detail today, those looms don’t exist,” says David. – Back then England made the bulk of the world’s ties, which explains why Holliday & Brown was making for Bugatti. English salesmen spent their lives travelling the globe – Buster Brown of Holliday & Brown used to spend nine months on the road (six of those in the US), all by train and steamship of course. – When making bespoke ties, a man’s neck size is as important as his height. A short man with a very thick neck may be more in need of a bespoke tie than one of above-average height. And when tall men do have bespoke made, they need to have a wider blade – usually four inches. Otherwise it will just look too skinny. You can follow the discussion on Tie facts from Peckham Rye by entering your email address in the box below. You will then receive an email every time a new comment is added. These will also contain a link to a page where you can stop the alerts, and remove all of your related data from the site. Thanks for the tip on tie care and feeding. I have a collection of older ties (1935-1970ish) that belonged to an auto executive who travelled to England monthly. 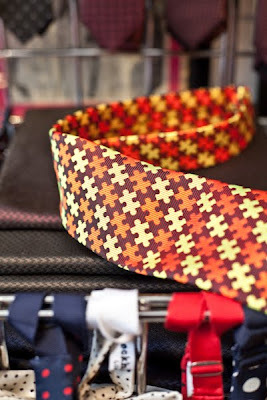 There is a huge collection of ties connected with motorsports (they were gifts from owner’s groups and the like). Is there a site that can help me figure out some of them? I’ll definitely visit it next time I’m in London. Thanks for the post Simon. I have this issue with a couple of ties but quite frankly the prospect sounds terrifying and I’m afraid to try! 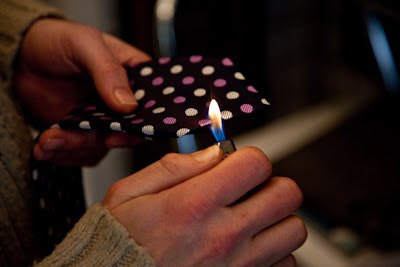 Following my last comment, above, I finally plucked up the courage to try the burning technique and am pleased to say it has been a roaring success – my frayed ties have been restored to their former glory. Don’t be afraid to be bold with the flame. Because mills are often merely producers, not brands. Do you care what your cloth looks like? You need a design team. Do you want it to be in stock? You need someone to buy large amounts of it and hold it.